You know that moment when you're trying to fit in one last tweet before your smartphone runs out of battery and then you realize you don't have a charge cable on hand? Yeah, can't say it's ever happened to me either. (Ok. Yes, it has.) If there's one gadget I cannot live without, it would be my smartphone. It's the main medium through which I communicate, calculate and calendarate. (And no, that's not a real verb.) I use it to take notes, pay for my coffee, snap photos, and control the Roku remotely. If there were a way to configure it to take care of the dishes and never ending laundry, I'd be in heaven. The point is, I use my phone. A lot. Every day. I rely on it enough that the very sight of a diminishing battery indicator lit up in red is enough to send my heart palpitating slightly with anxiety. The reason is I am notorious for misplacing my USB cable, and heaven forbid if I should have to actually leave my house to retrieve the cable from my Jeep while still in my pyjamas. It's a good thing I now have a new little friend to rely on - the NOMAD ChargeKey. 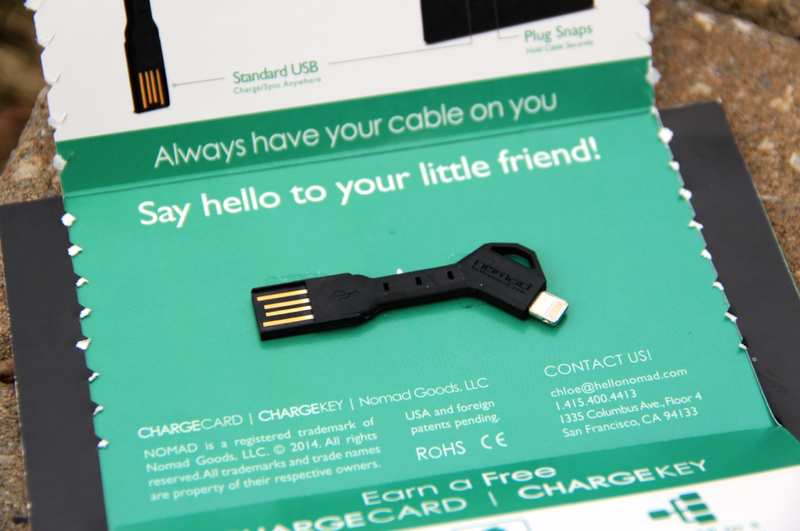 My review unit of the NOMAD ChargeKey arrived via mail nearly two weeks ago and has proven to be quite convenient. It is currently attached to a key ring with my house key and car key so it pretty much goes wherever I go. It's also quite thin and small so there isn't much added bulk to my key ring. 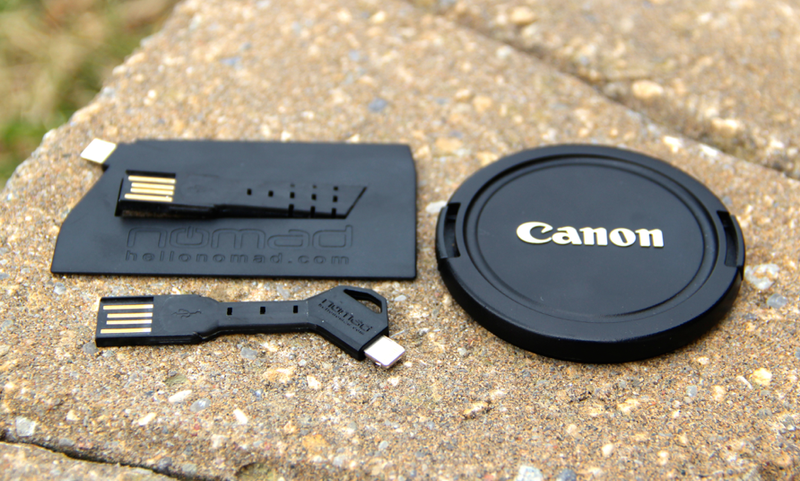 Recently launched in Canada, this NOMAD accessory allows for charging from any USB port and full data transfer when connected to a computer. 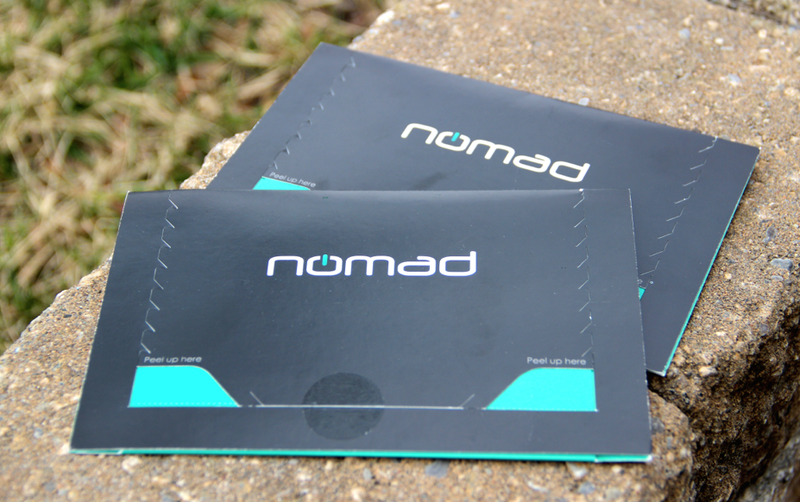 NOMAD also makes a ChargeCard which is shaped like a credit card and is designed to fit inside your wallet. Both of these chargers have been touted as the world's smallest, most portable USB cables. Hard to believe? Compare them to the size and thickness of my camera lens cap. 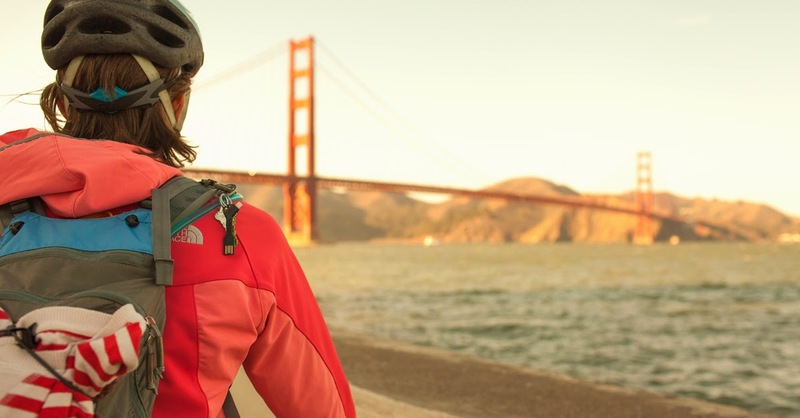 Both the NOMAD ChargeKey and ChargeCard are available for iPhone 5/5s/5c, lightening iPad and iPad mini and in a micro USB which is compatible with Samsung Galaxy, HTC, Nexus, Windows Phone, BlackBerry, Lumia, LG, and many more. They are currently listed on Amazon.ca at $35 and qualify for free shipping. I could really use this for my iPhone! I love how small this is! I'd take this everywhere!